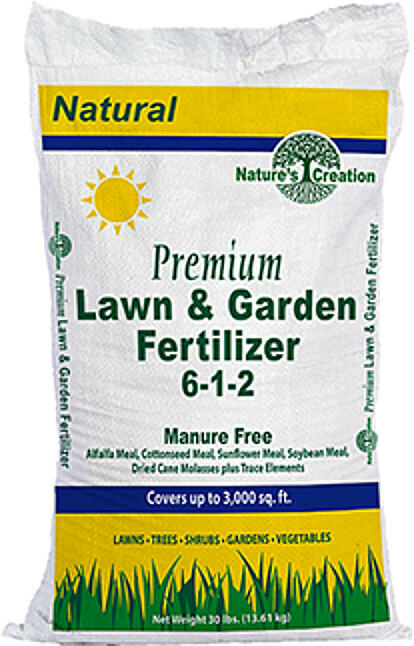 Premium Lawn & Garden Fertilizer – Organic Fertilizer at J&J Nursery! GardenLine with Randy Lemmon will also be talking about the Premium Lawn & Garden Fertilizer, an organic fertilizer, which is available here at J & J Nursery in Spring, TX! It is organic, vegan, and kid & pet-friendly. Come and get your lawn & garden green and healthy with this product! The fertilizer has easy to spread pellets that expand after water is applied to release their nutrition content to feed hungry plants and naturally occurring soil microorganisms. As these beneficial microorganisms grow and thrive, they process organic matter and minerals present in the soil into elemental nutrients readily absorbed by plant roots. This entry was posted in Fertilizer, J&J's Nursery, Lawn Care, Organic Lawn, Organic Lawn Care, Spring, The Woodlands, Tomball, TX and tagged naturescreationpremiumlawnandgardenfertilizer, organiclawncare, organiclawncarespringtx, organiclawncarethewoodlandstx, organiclawncaretomballtx, organiclawnfertilizer on September 1, 2018 by jjsnursery.